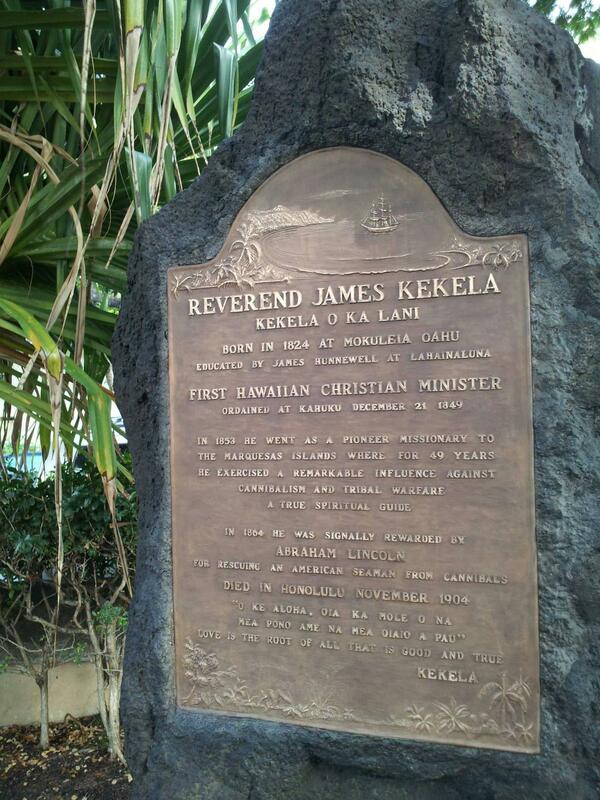 A service will be held over the remains of Kekelaokalani, Kekuaipoiwa [Kekuiapoiwa], Kailikulani, Leleoili, Kulua, on the following Sunday, October 3, between the hours of 1 and 3 in the afternoon, at the pleasant home, Rooke House [Luka Hale], the place where they made warm with their daughter, the Royal One, Emma Kaleleonalani. 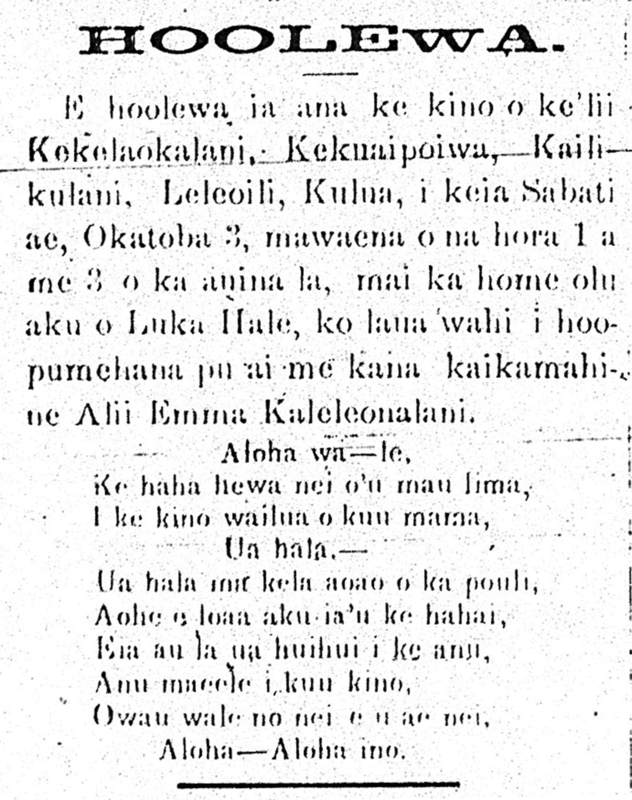 Ka Elele Poakolu, Buke I, Helu 4, Aoao 1. Sepatemaba 29, 1880.